You will need PhantomJS (installed or a standalone distribution) accesible from the PATH (learn how to add a variable to the PATH in windows here). In case it isn't available in the path, you can specify the executable to PhantomJS in the configuration later. You can obtain PhantomJS from the following list in every platform (Windows, Linux, MacOS etc) in the download area of the official website here. there's no installation process in most of the platforms as you'll get .zip file with two folder, examples and bin (which contains the executable of PhantomJS). 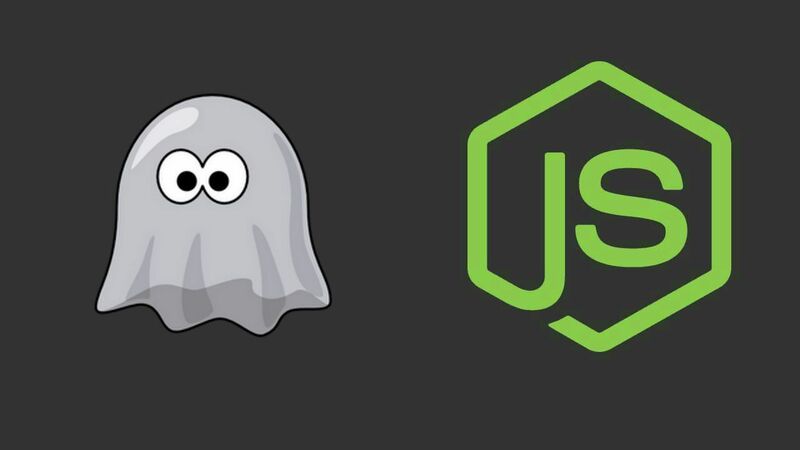 Once you know that PhantomJS is available in your machine, let's get started ! Once the installation of the module finishes, you will be able to access the module using require("phantom"). If you're using Node.js v7+, then you can use the async and await features that this version offers. It simplifies the code significantly and is much easier to understand than with Promises. The previous code should simply create a POST request to a website (check obviously that you have internet access while testing it). To do it, we are going to require the child_process module (available by default in Node.js) and save the spawn property in a variable. The child_process.spawn() method spawns a new process using the given command (as first argument), with command line arguments in args (as second argument). If omitted, args defaults to an empty array. Declare a variable child that has as value the returned value from the used spawn method. In this case the first argument for spawn should be the path to the executable of phantomjs (only phantomjs if it's in the path) and the second parameter should be an array with a single element, the path of the script that phantom should use. From the child variable add a data listener for the stdout (standard output) and stderr (Standard error output). The callback of those listeners will receive an Uint8Array, that you obviously can't read unless you convert it to string. To convert the Uint8Array to its string representation, we are going to use the Uint8ArrToString method (included in the script below). It's a very simple way to do it, if you require scability in your project, we recommend you to read more ways about how to convert this kind of array to a string here. We, personally prefer the self implemented method to work with PhantomJS as the learning curve of the module is steep (at least for those that knows how to work with PhantomJS directly with scripts), besides the documentation ain't so good.